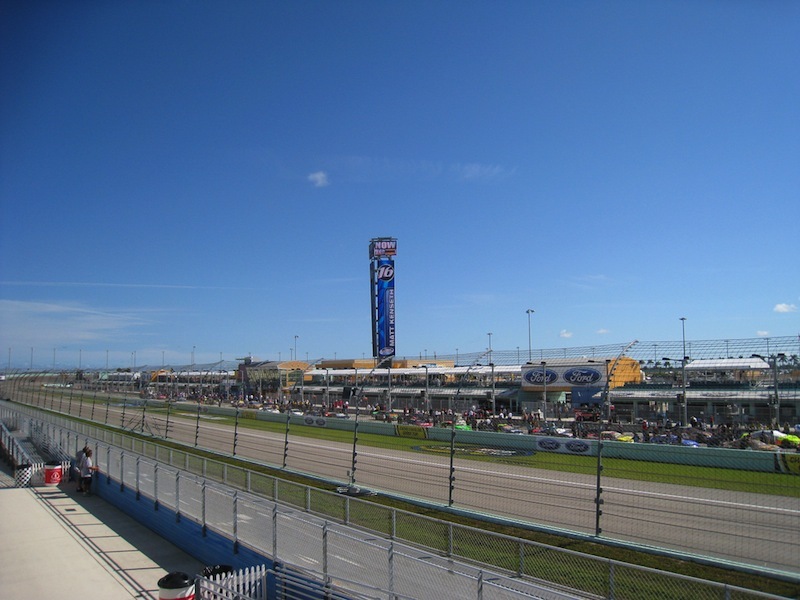 With all that sunshine, warm water, and acres of space, Miami is the place for sports fans on a motorhome rental or campervan hire holiday in Florida. Whether you enjoy watching the professionals, or taking part yourself, you can’t go wrong when it comes to every conceivable kind of sport. So, what’s your favourite? Professional Football- Miami is home to the Dolphins and the Hurricanes. The Dolphins are part of the AFC and the NFL; the highest level of football with 32 teams. They play their home games at the Sun Life Stadium in Miami Gardens, in the northern suburbs of the city, a stadium which they also share with the Hurricanes. The season runs for 17 weeks starting in September, with games taking place once a week on a Thursday night. The Superbowl marks the culmination of the season. If you're looking to experience NBA Professional Basketball, then check out Miami Heat. Their home games are played at the American Airlines Arena from October to April. If you can get to see a game against their biggest rivals the New York Knicks, the Chicago Bulls, or Orlando magic, you’ll be in for exciting times! 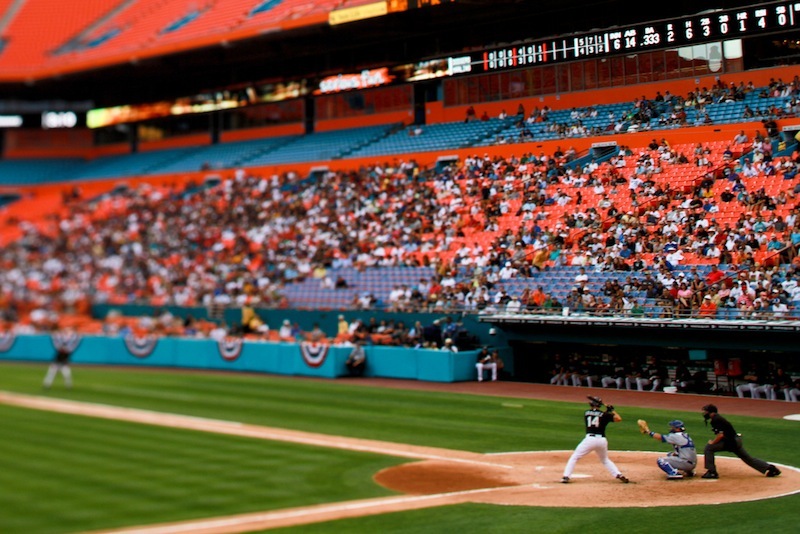 The Marlins are Miami’s home Baseball team. 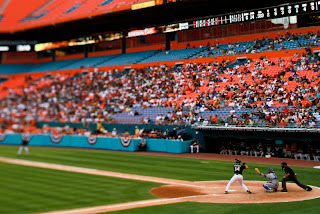 Their season runs from April until October at the brand new home ground of the Marlins Ballpark, which will open in 2012 on the site of the Miami Orange Bowl. The Panthers are Miami’s professional Ice Hockey team. Their home stadium, the Bank Atlantic Center, sees action from October until April, the official ice hockey season. Being a hot and sunny kind of place they hold the title of being the most southerly team in the NHL. Away from team sports, thoroughbred racing is also a popular sporting activity, and Miami is home to two racecourses- the Calder Racecourse, and the Gulfstream Park. The Gulfstream Park is home to the $1,000,000 Florida Derby, and the season runs from December to April. If golf is your thing, Miami has over 30 private and public golf courses and over 250 tennis courts if you prefer a different kind of swing. Finally, if you’re not into outdoor sports, then what about Jai Alai. Jai Ali is a ‘big thing’ in Miami; it’s a game from the Basque country, similar to squash, and involves bouncing a ball off a wall. It’s known as the fastest sport in the world, with balls reaching a top speed of 302km/h or 188 mph, and competitors use some rather oddly shaped basket rackets. It’s not just ball games, all kinds of sports are enjoyed in Miami, here’s a list of some of the principal sporting events. March - Grand Prix, World Championship Golf, and the Sony Ericsson Open Tennis Championship. April - Swim Miami, and the Miami Beach Polo World Cup. July – The Internatioanl Judo Federation World Cup. September – The Miami Triathalon. For all kinds of sports fans, a motorhome rental or campervan hire holiday in Miami has endless possibilities to get involved, and to follow sport, all year round.